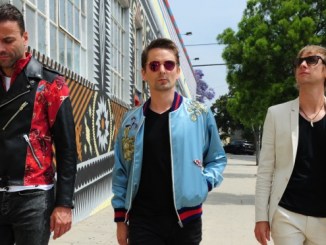 Muse release Drones, their much anticipated follow up to 2012’s 2nd Law on 8th June. Their previous 2 releases were a marked departure from their known and loved style leaving many seasoned fans wondering if it would ever be as good again. So the question on their lips is undoubtedly, is this the album we’ve been waiting for? Well, I have good news for you, the Muse we know and love have made a triumphant return. The Teignmouth Trio have never been shy of expressing their political agenda, but announcing a full length concept LP about how we are all being turned into drones left me thinking they might have lost the plot and could never pull that off, but I will now be found happily eating my hat. 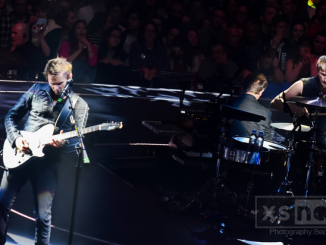 The truth of it is that from start to finish, Drones is a spine-tingling journey that has taken everything Muse do best and made it even better. This does leave points where you could be convinced a track from their back-catalogue had crept in there, but all comparisons are short-lived. 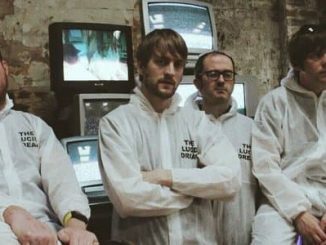 The album begins with Dead Inside, a collection of pounding R&B drums and synths, reminiscent of Supermassive Black Hole. It has the general feel of their earlier material while Matt’s vocals take on a new, cleaner edge. A soundbite named Drill Sergeant, a brainwashing military screamfest draws us into the blistering dirty riffage of Psycho, a familiar riff to anyone who saw them live 10 years ago, it is a breakdown used during sets which has matured into an amazing comeback track. It’s full of the overdriven bass, complex guitar, rumbling drums and signature falsetto vocals we have grown to love. While the lyrics are a bit cringeworthy (whispered Marilyn Manson style “I’m gonna make you, I’m gonna Break you, I’m gonna make you, A f**king psycho), they drive the boys’ point home with a bludgeon. Pass through the sing-along melodies of Mercy and you find yourself immersed in Reapers, by far my favorite on the album, is a re visitation to their inspiration Rage Against the Machine, boasting riffs that Tom Morello would no doubt wish he had written. Combined with their brutal stops and technical brilliance this one will get a stadium leaping. The rest of the album is equally remarkable and even the 10+ minute crescendo of The Globalist holds your solid attention. Riffs and vocals underwritten by Elgar’s Nimrod is like the ultimate mash-up. It is conceptually brilliant too, taking this classical piece about the glory of war and apply it to a track that concedes defeat to the system and becoming an unquestioning killing machine. Album ender Drones is a beautiful a cappella hymnal praising the drones like a deity, an apt finish to the preceding brainwashing session! Drones is musically, conceptually and politically charged brilliance at its absolute peak and more than I had hoped for. In the current political and musical climate, it will be a popular choice for fans old and new and no doubt will be hailed as a classic in years to come. Matt, Chris and Dom, we salute you and long may you reign.